Prakhar Mehrotra currently is Senior Director of Machine Learning – Retail, Walmart Labs. At Walmart, he overseas development of algorithms that help merchants take data driven decisions. Prior to Walmart, he was Head of Data Science, Finance @ Uber where he built the Data Science arm for Finance and currently leads team of data scientists and data analysts. His team is spread across Amsterdam, Hyderabad and San Francisco. He is given numerous invited talks including keynote speaker at EARL conference, NYU Center for Data Science, Wharton Technology Conference at Wharton School of Business. He also chaired the session on Forecasting at International Symposium on Forecasting, Australia 2017 and was invited judge (Risk & Intelligence) at the European Fintech Awards. Brussels. At Uber, Mr. Mehrotra oversaw global research and development of Machine Learning Algorithms related to Financial Forecasting (Supply & Demand), Budget Planning, Economic Simulations for Autonomous Vehicles. In his role, he has also seen research and development related to payment analytics and treasury financial simulations. Prior to Uber, Mr. Mehrotra worked as Sr. Data Scientist at Twitter, Inc in San Francisco as part of Sales & Monetization team. He has Advanced Engineer’s degree in Aeronautics from California Institute of Technology, Pasadena and Masters in Applied Mechanics from Ecole Polytechnique, Paris. 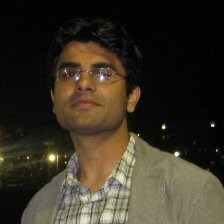 He did is undergraduate in Mechanical Engineering from National Institute of Technology, Trichy, India.